Semi-Permanent Cosmetics (aka Permanent Make-Up) has been used for decades to define and enhance a person's natural appearance with the added perk of minimizing the daily hassle of make-up application. I have lots of tattoos on my body already but when Enlighten's owner, Kari, suggested that I get the lash-line enhancement treatment, I was initially hesitant about the idea of doing anything permanent to my face because... its my face! Face tattoos have definitely been given a bad rep thanks to some reallyyyy bad permanent make up examples we've probably all seen at one point or another (see this google search). But if I've learned anything in my old age ;) its that finding a team of beauty pros who are experts at their craft is the KEY to aging gracefully. After years of going to Enlighten MD for all of my beauty and skincare needs, I've developed major trust in their skills, abilities and advice. They've earned it! Enlighten is a team of beauty professionals who are truly dedicated to enhancing their patient's natural beauty without going overboard. This should go without saying, but I think this quality is actually a rare find in the medical spa community— Enlighten MD is truly a diamond in the rough! I am always confident when I enter those doors that I am in GOOD HANDS. Enlighten MD offers several semi-permanent cosmetic treatments. The lash-enhancement procedure is a tiny line of semi-permanent eyeliner along your lash line. This treatment subtly compliments the shape and contours of your lash line. This enhancement is not meant to take the place of eyeliner in your life— its a much thinner application along your eyelashes which creates depth, making your lashes look thicker and your eyes more defined. Channing Leavelle- Bartee is Enlighten's in-house permanent make-up artist and the one who transformed my lash-line in this procedure! Note: Channing is also the specialist who rid my legs of cellulite with the pelle-firm treatment (read about it here). Appointment 2: The second appointment is 6 weeks later to touch-up and ensure longevity of the colors. Results vary depending on treatment-specific aftercare and maintenance. 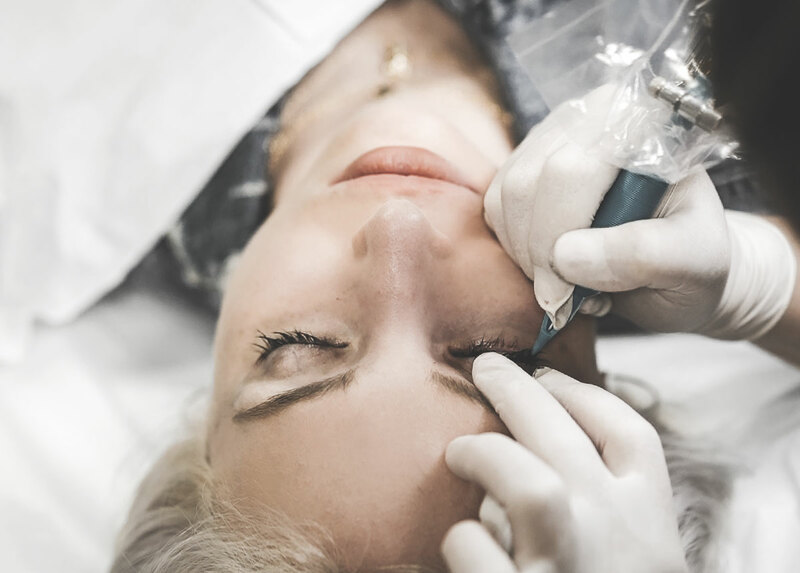 Although the pure pigments used in this procedure are semi-permanent, patients see the enhancing effects from semi-permanent eyeliner for up to 5 years. Thats up to 5 years of beautifully defined eyelashes! Okay, SOLD. Use code WE THE BIRDS to receive 15% off your first service!